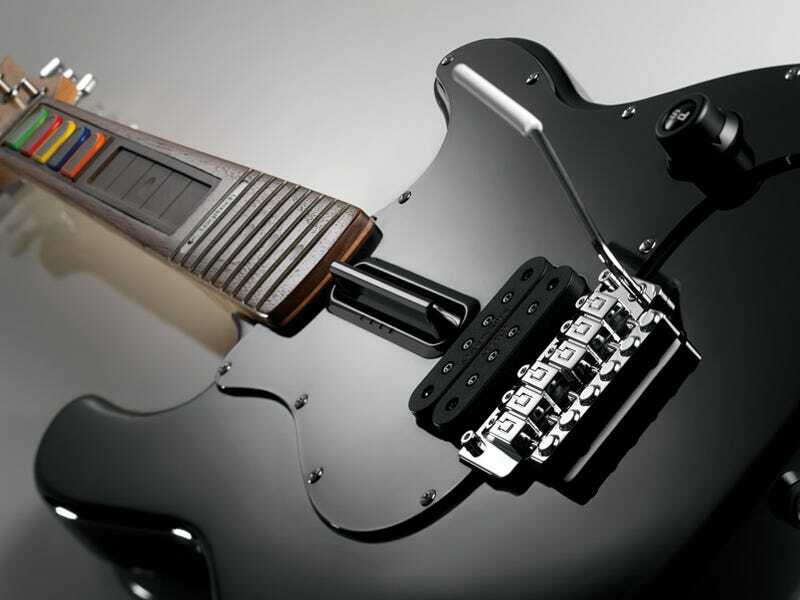 Logitech's wireless PS3/PS2 guitar has a wood body, a wood neck, metal frets and a rosewood fingerboard, meaning its $200 price tag brings you closer to the "rock" experience than normal Rock Band/Guitar Hero guitars. It's definitely solid. We tried it out quickly and the weight of it was comparable to an actual guitar. The keys were clicky enough without being overly clicky—like the Guitar Hero 2 controllers—and the strummer felt solid enough. It'll take weeks of actual playing to see how well it stands up to use, but on the surface it's good.